It is a premium beverage label that can “stick” to consumers. 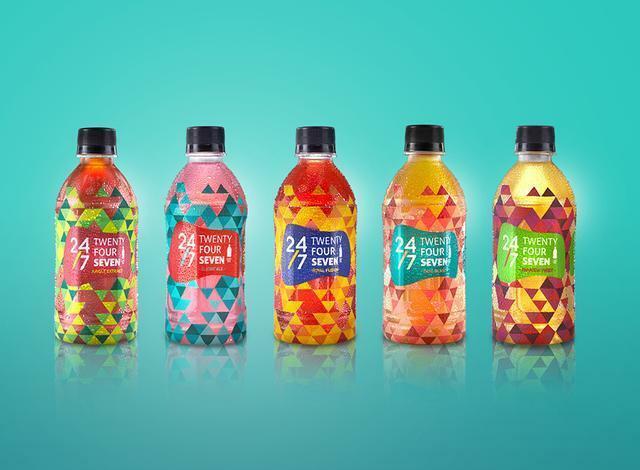 Recently, Tom Egan, vice president of the Packaging and Processing Technology Association (PMMI) in North America, wrote that beverage packaging design should impress consumers, inspire consumers and resonate with them at a deeper level. Thirst may be the first reason consumers buy beverages, but when POP prompts consumers to buy a brand, it is because his packaging is more attractive. More and more beverage manufacturers are looking to attract customers by offering some form of personal resonance packaging. Whether it's a reference to lifestyle choices, good memories or important goals, beverage labels that connect with consumers at a deeper level have the ability to persist. Consider packaging designed to inspire exercise, inspire memories of your favorite vacations or enhance the value of a healthy lifestyle – motivating participation in the product experience before consumers even twist the cap, pull the label or pop the lid. Given the growth of the market, it is easy to understand that manufacturers are competing for the mind, mind and loyalty of consumers. According to PMMI, the Packaging and Processing Technology Association's beverage trends for the packaging and processing business in 2018, the beverage packaging industry is currently valued at $30.1 billion and is expected to grow by 4.5% over the next decade. 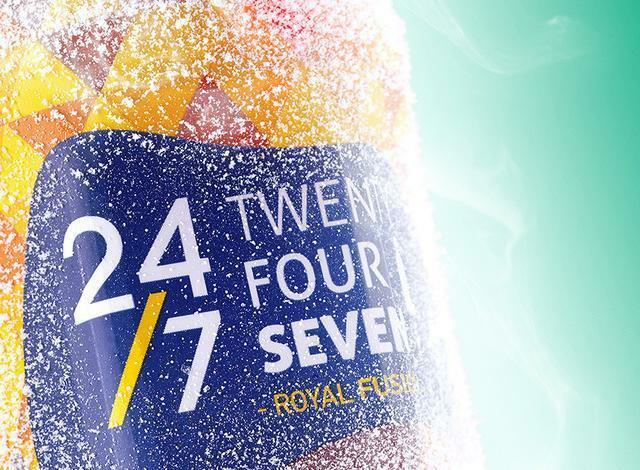 In today's competitive landscape of beverage products, more brands may take bolder steps to amplify the essence of the external interior – especially the power of printing. Today's consumers are not only thirsty to drink, but more when they feel understood. Which career path to choose, move to a new city or buy a home... these are highly determined decisions. But what about drinks? Can a person react emotionally to drinks on store shelves, does this connection really affect their decision to buy a product? The answer may be “yes” because consumers continue to choose beverage products that feel familiar or nostalgic. Consider Coca-Cola's “Share Cola” campaign, which creates a way to engage consumers by calling their names. For Coca-Cola, which has long established a foothold in the field of carbonated beverages, this event has increased customer loyalty and created a sensational effect on the brand. Even for such a major brand, creating such a label variety is no small feat, but advances in printing technology have made this activity possible. Some brands have found a way to talk less directly to customers, but still have intimacy or personalization levels that are hard to beat. Some craftsmanship is further driven by high-quality packaging by turning to technologies that use tinted glass and other tactile labels to achieve a more complex and expensive appearance. 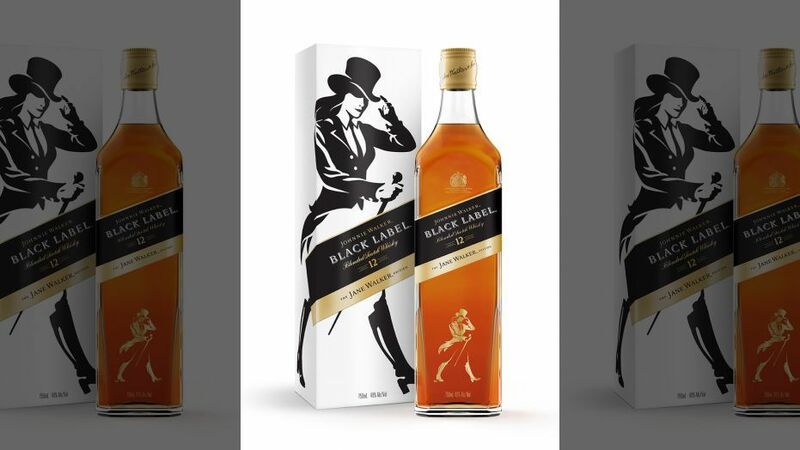 Johnnie Walker recently created Jane Walker, a special version of their black label product to appeal to women who are not normally considered whisky drinking groups. To confirm this information, Johnnie Walker donated the proceeds of each bottle of Jane Walker Edition donated to organizations that support women's progress. According to PMMI's report, unique packaging is used by high-end brands to distinguish them from value brands, so mid-end brands now use packaging to mimic the look of top brands. Jack Daniels's Gentleman Jack version uses a metallized label, similar to a stamped silver plate, to try to appeal to consumers who value the finer, more original details of traditional paper labels. Personalized packaging may not be the only key to sales. As the demand for products that support healthy, active and clean lifestyles is equally large, more beverage manufacturers are producing beverages that use smaller canned or less calorie bottles. This exquisite quota not only satisfies the demand for low-calorie, low-sugar products, but also reinforces the concept of diet share control, which is quite different from the oversized diets of decades. In this era of cleaning labels, consumers are also looking for natural, additive-free beverages, but this beverage also poses challenges for manufacturers and processors. More organic or natural non-homogeneous beverages such as juice are prone to delamination and sedimentation on the shelf for a period of time, so in order to avoid customer resentment, on the one hand, each brand tightens the package to hide the contents of the bottle, and On the one hand, manufacturers have to make some improvements to the production line, adding mixing equipment or adjusting the filling equipment to handle more natural beverages of different traits. According to a report by Chicago-based Mintel's Plant Water Flour for More Benefits, 57% of respondents believe that “natural” is a primary attribute, and other attributes are followed by “high vitamins” (33%), “antioxidants”. "(31%), "taste" (31%) and "organic" (23%). “Health trends are the main driver of coconut water and plant water,” said Alexander Esposito, research analyst at Euromonitor International. “Contrary to popular sports drinks, coconut water and other plant waters provide functional hydration but don’t add a lot. Synthetic raw materials that consumers can't avoid. When it comes to coconut water and plant water, organic certification is definitely a plus item." In addition to health and nutrition, sustainable products can also add to the brand's sales. Brands can build new connections with consumers who are increasingly concerned about environmental issues by providing environmentally friendly products, reducing waste generation. One of the ways manufacturers solve this shift is to use digital printing technology, which is generally considered to be more cost effective and environmentally friendly when the diversified labels are produced in small batches. Digital printers, such as the HP Indigo technology used in the “Coca-Cola” campaign, have been recognized as environmentally friendly in reducing energy consumption and consumables in each round of printing. Some beverage manufacturers produce green products, such as vegetable oil-based inks or water-based inks, using environmentally friendly materials that can be applied to digital printing technologies. These inks not only dry quickly, but also provide high quality printing, while also minimizing the release of volatile organic compounds - these volatile organic compounds are commonly found in large quantities in traditional solvent based inks. UV inks also have similar advantages, with fast curing and drying rates, minimal release of volatile organic compounds, and high-quality digital printing directly on glass or PET bottles. Today's beverage variety on the shelf is linked to technological developments that increase line flexibility, accelerate and simplify the transition between different product runs. As consumer demand for a variety of beverages continues to grow, manufacturers need to replace labels and change products more frequently than ever before, creating a large number of personalized or targeted products that consumers crave. In order to achieve this rapid transformation, many manufacturers have turned to digital printing in consideration of the production of diversified labels, facilitating the rapid preparation and application of labels. With this technology, the generation of label patterns is more efficient and can be done in a shorter time frame, thereby reducing expensive downtime. 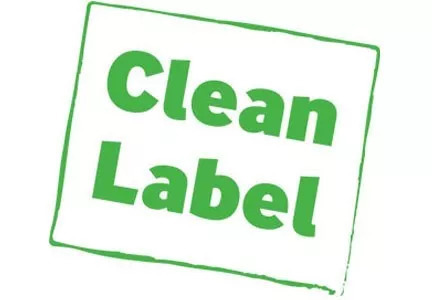 Packers can make labels closer to the time of production, so that the time between packaging and shipping is greatly reduced and delivered to the store as fresh as possible. The popularity of digital printing systems is because the technology becomes easier to use every day. Now, this technology can be used for smaller batches of products such as 30,000 units, but it can be a tougher decision if you want to stick to traditional printing techniques. Even for a big brand like Coca-Cola, creating this diversity label is not a small feat, and advances in printing technology make this sport possible. 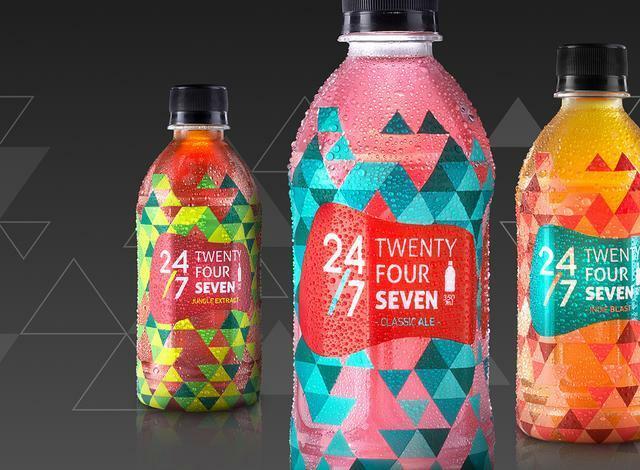 According to Label & Narrow Web, Coca-Cola found a label and packaging converter company that adjusted the printers equipped with HP Indigo digital printing technology to do the job. With this technology, various name tags can be produced in small batches and still exhibit high quality printing. 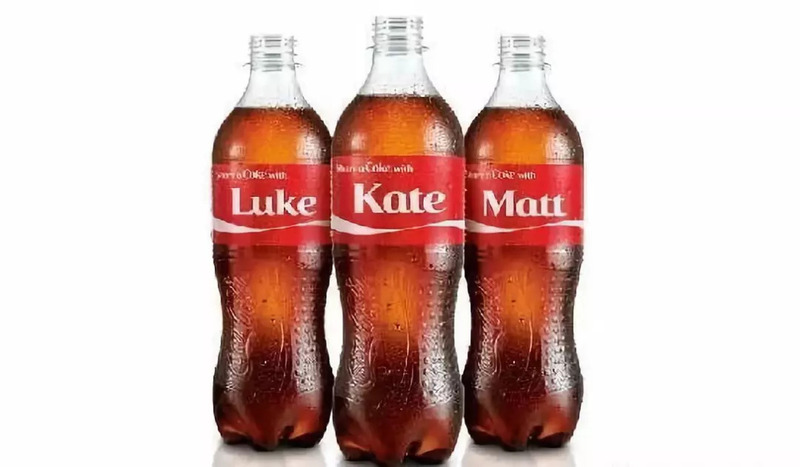 According to a report by the African-based magazine PACKAGiNG & Print Media, the Coca-Cola Company has repeatedly collaborated with converter companies and cooperating printer companies internationally to create thousands of names in multiple languages. Some international printer companies use flexographic printing instead of digital printing, so in order to achieve the same "Coke Red" shading on different types of printers, detailed color matching is performed before printing. In addition to digital printing technology, the technology to create larger and more eye-catching images is taking root. According to PMMI's report, shrink sleeve labeling technology is currently more used in canned and bottled beverages. For example, a craft brewer might put a shrink sleeve on a 6-piece package. 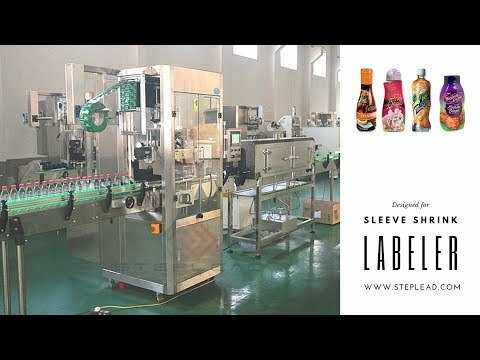 This packaging printing style makes the conversion of the packaging line easier and is beneficial for companies that use the same canning format to produce beverages of all types or flavors. Of course, some brands prefer cardboard rather than shrink sleeves because the cardboard retains its image and shape when opened, while the shrink sleeves are torn and deformed and may be discarded after first use. Regardless of the material chosen, these two technologies give the brand an extra benefit – more pictures, more information and an opportunity to tell the story of the product. The importance of differentiation in the beverage industry may best be seen in the bottled water market. It can be said that the same liquid is portrayed as a completely different product, depending on the customer's requirements. Brands design packaging and label elements to match their target population, and these elements become a differentiator for demonstrating the rationality of product shelf space. For example, the waters of Evian and Fiji are clean natural waters, exotic from all over the world. They use transparent bottles to reveal internal labels, showcase compelling landscapes and purity statements to help convey this message. At the same time, waters like CORE, Essentia and smartwater use themselves as a source of water for physical and cognitive health and work harder. Then there are brands like vitamin water and La Croix, which, although added to the product with flavor and/or carbonation, are still considered “water” to appeal to those who seek to be slightly different from ordinary water. However, the trend of finding business opportunities falls in all beverage industries, with different company requirements and standing out in the selection process. Sometimes it is possible to find a suitable niche by providing reliable convenience, such as a Capri-Sun pouch with a straw or a sports drink with a flip. 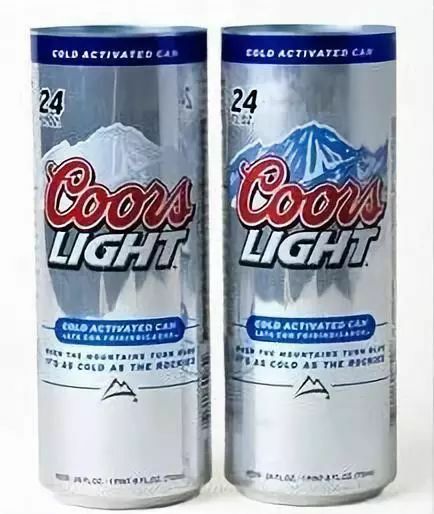 At other times, it can be derived from original packaging innovations, as the beer giant Coors created with the Coors Light label, which features hot inks that respond to temperature changes. 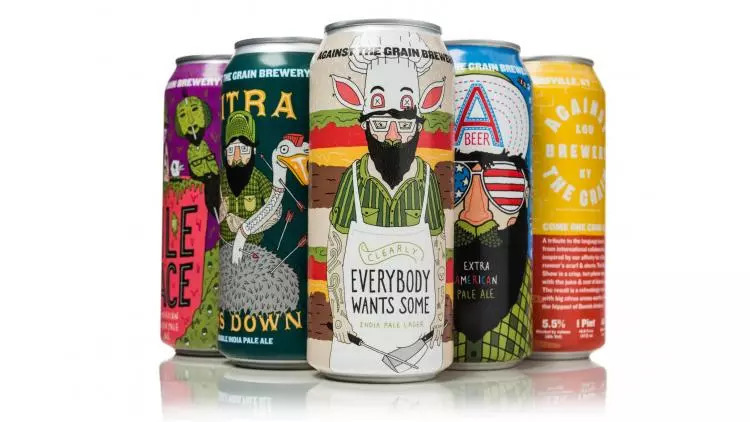 The label conveys the message that the beer reaches its perfect refrigerated temperature and is ready to drink, and it also provides an interactive feature that is simple and fun for the customer. This type of "cool" graphics can be a more recent development because graphics have traditionally been improved at a slower rate than paper labels. PMMI reports that improvements in hot inks, gloss, matte and tactile inks are the result of better coating technology. However, while leveraging emerging technologies and finding the right niche market is critical to the company's operations, manufacturers must focus on maintaining focus on major issues. Only brands that are willing to adapt and adapt to consumer concerns and lifestyles can only continue to have ownership in a unique space in the market. Beverage brands hone their product differentiation factors, but are constantly changing their appearance and may curb customer demand in the coming decades. The US-India TCL has a 4A-level wine label design expert and is well versed in the use of various self-adhesive labels. It is your first choice for wine label design and printing. We all know that fruit is a good weight loss product, but after a complicated process, the fruit can be destroyed at any time after it becomes a juice drink. After the fruit is made into a juice drink, the nutrition is greatly reduced. Many minerals and vitamins have been lost in water, and the only remaining vitamin C is also reduced by the light. In order to make the juice taste better, the drink also adds a lot of sugar, these sugars will only make you drink more and more fat. In the new year, it is time to establish health goals. 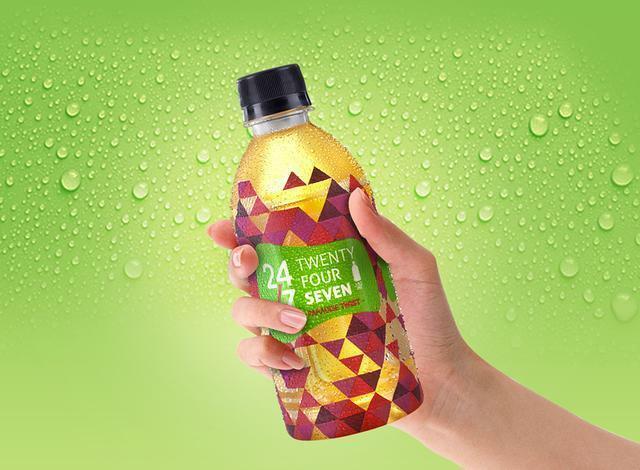 Indonesia-based Visual Cast has launched a refreshing drink: 24/7 is positioned as a herbal drink that guides a healthy lifestyle, tells you what kind of drink you drink, does not fatten, and the product uses eye-catching Colorful geometric packaging. And this healthy herbal drink tries to penetrate the city market, targeting young people who are fast-paced. The brand needs an attractive name and eye-catching packaging to catch the eye on messy supermarket shelves. 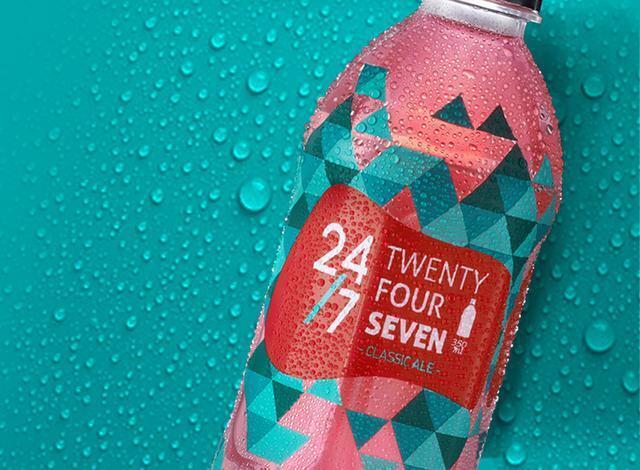 24/7 is a ready-to-drink herbal drink that is positioned in the young and fast-paced urban lifestyle market, hence the brand name. 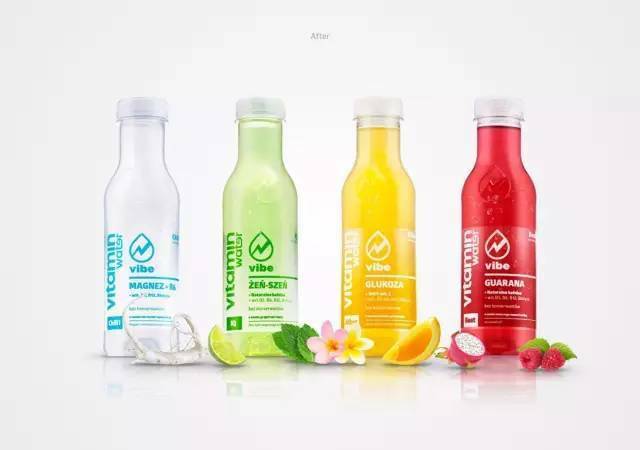 The product is a simple and healthy lifestyle drink, and the marketing promotion no longer focuses on the benefits of the drug, which is certainly not attractive to young people. Therefore, in addition to the word “jamu” (the traditional Indonesian herbal drink), a new cool category called “herbal mocktail” has been created. The print design is to print a gravure on the shrink label. The package is translucent to show the various colors of the liquid, ultimately making the liquid color itself part of the overall package. The color of the product and the color of the package are combined in a harmonious combination, while maintaining the natural color of the herb itself. We work closely with our customer product development department to determine the exact liquid color that our product requires.